Many people across the country are outraged that Quebec City riot cops fired the round at such extreme range, with some confusing the type of round fired as being a tear gas canister. While the headlines of the protester being shot with a tear gas round are technically correct, the round was most likely not an actual canister. Naomi Tremblay-Trudeau shows the injury she sustained. The circular pattern of what is probably a thin cardboard disc can be seen imprinted on her skin. If it wasn’t a tear gas canister, then what was it? It was most likely a “muzzle blast” round, also known as a chemical dispersal round. It fires either pepper spray (OC) or tear gas (CS) in a cloud. There is no canister that is launched, but there is a small cardboard disc that is used to hold the chemical agent inside the round. This is probably the projectile that struck the woman in the lower face (and in photos you can see the circular shape the disc left on her skin). 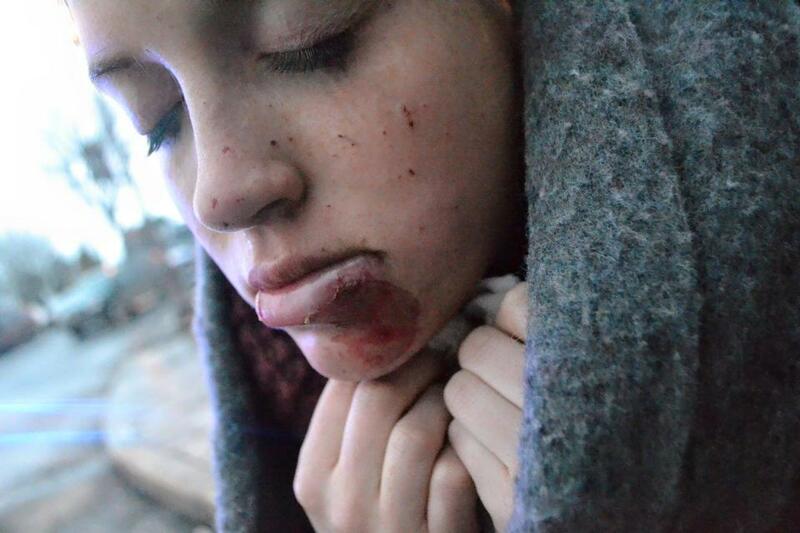 If it had been an actual tear gas canister her injuries would have been far more severe. 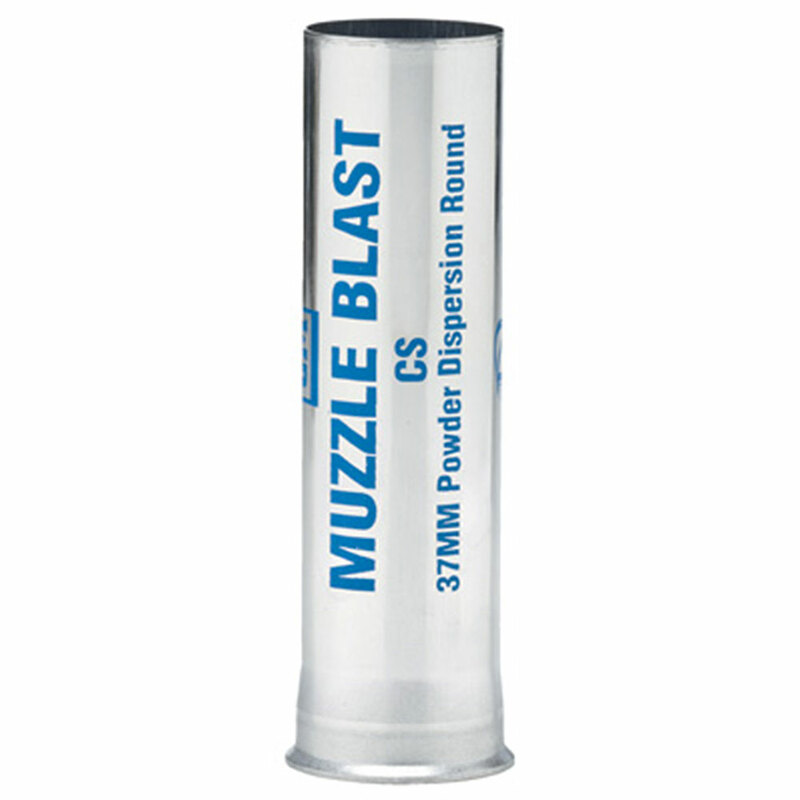 A Muzzle Blast round with tear gas (CS), made by Atlantic Tactical. These rounds fire a spray of chemical agent (either pepper spray or tear gas), with a range up to 30 feet. There are many manufacturers of the muzzle blast round and it is quickly becoming one of the most commonly fired types of “less-lethal” rounds used by police during crowd control operations. Manufacturers claim an effective range up to 30 feet. Toronto police fire a muzzle blast round at a woman during protests against the G20 in Toronto, June 27, 2010. The cop in the foreground is carrying a typical less-lethal launcher. 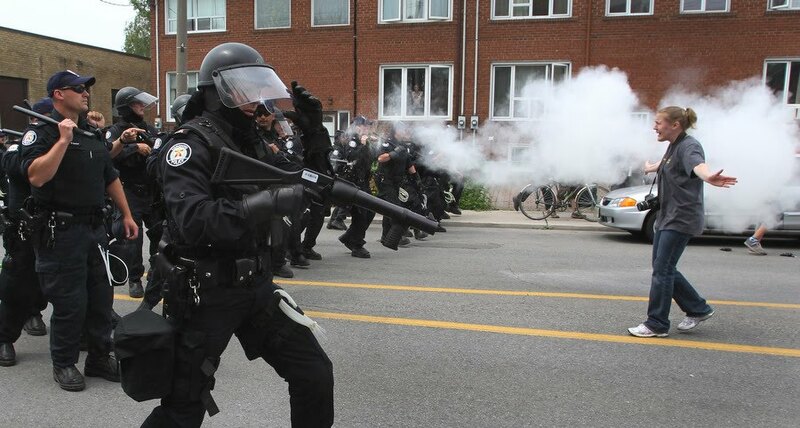 The first widespread use of this round in Canada was during the Toronto G20 protests in June, 2010. During the actions in the streets, police repeatedly fired muzzle blasts at close range into crowds and against individuals. Until the Toronto G20, rounds fired from less-lethal launchers were projectiles, either rubber/plastic bullets or pellets, or tear gas canisters. These rounds caused serious injuries, and people have lost eyes, gone into comas, and even died after being struck with these types of projectiles. Police probably thought they had solved the problem of firing projectiles into crowds with the muzzle blast, but as the case from Quebec City shows, even muzzle blast rounds can cause serious injuries (ie, if the disc had hit her in an eye). Hopefully the fallout from this incident will see much more restricted use of this weapon in the future, or else it is highly likely that along with pepper spray, the muzzle blast round will be an increasingly common option for police to use during crowd control operations. For protection against muzzle blast rounds, safety goggles should be worn at a minimum (which also helps defend against pepper spray and projectiles). Posted on March 27, 2015, in Uncategorized and tagged Defend the Territory, less-lethal weapon, muzzle blast round, police crowd control, protest tactics, Quebec City Police, Quebec City protests. Bookmark the permalink. 1 Comment. Coming to an anti-austerity protest near you?